Please select an option 7 8 9 10 11 12 13 Please select a ringsize. 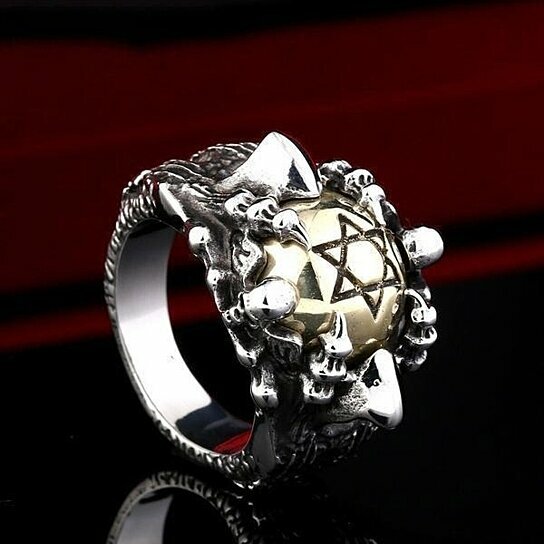 The Star of David, also known as the Magan David (Shield of David), has been a symbol associated with Judaism for centuries. A stone bearing the Star of David in a synagogue in the Galilee dates back to the 3rd century. It is believed to have been used as a decorative design. A 12th-century text, Eshkol ha-Kofer, a work on the Ten Commandments, refers to the Shield of David.